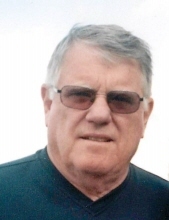 C. David Johnson, age 81 of Woodruff, WI and formerly of Lombard, IL passed away suddenly on February 6th, 2019. He was born on March 7th, 1937 in Chicago, IL the son of Clayton and Susan Johnson. Dave worked for Nicor for 37 years and retired in 1992. He retired to Woodruff, Wisconsin where he enjoyed fishing, snowmobiling and golf. Was an active member of the Lake Tomahawk Lions club and the New-Tom SnoFleas. Dave volunteered his time to help the local community. David was loved and respected by a host of family and friends. Survived by wife Phyllis of 61 years. Sons Kevin (Melissa) Tim, Bob (Lisa) and Gary (Sheri). Brothers Mike (Marion) Dan (Lynn) and Sister Kim (Cherie). Preceded in death by daughter Sandy Meegan (Barry) Son Dennis (Daryl) and brother Jerry (Kathy) Grandfather of 12: Ryan (Shannon), Keith (Carrie) Steve (Maria) Chris, Michelle, Kirstin, Clayton, Jenna, Ben, Mitchell, Luke and Nathan. David was preceded in death by his daughter Sandra and son Dennis and by his parents Clayton and Susan and his brother Jerry. Visitation will be on Monday, February 11th from 4:00 pm to 7:00 pm at Nimsgern Funeral Home Chapel in Woodruff, WI with Funeral Service at 6:30 pm. To send flowers or a remembrance gift to the family of Clayton David Johnson, please visit our Tribute Store. "Email Address" would like to share the life celebration of Clayton David Johnson. Click on the "link" to go to share a favorite memory or leave a condolence message for the family.